"She is just a lump of love." 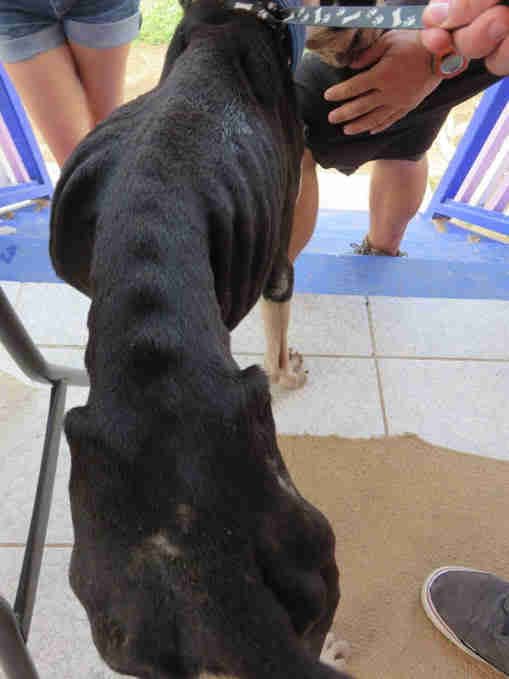 When they found the dog, she was chained to a plastic chair beneath a stilt house in Belize. Floodwaters had inundated the yard around the house, and the dog had climbed onto the chair to try and stay dry. 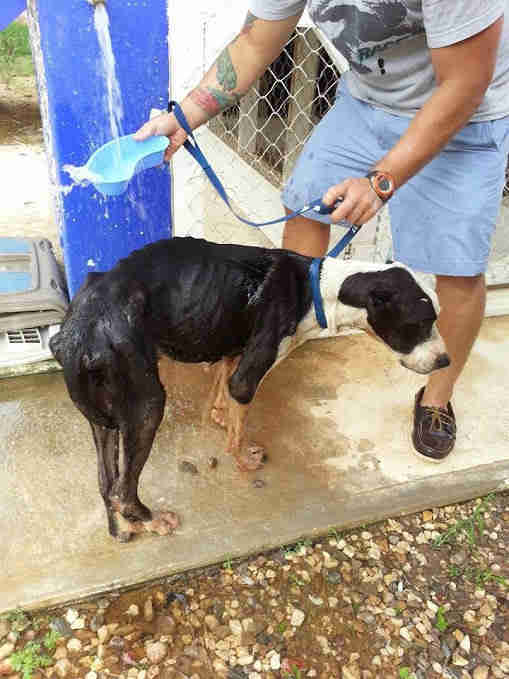 This was three years ago, when volunteers from the Hopkins Belize Humane Society found Elsie during a “roundup,” where they pick up animals who need to be vaccinated or given urgent medical care. And Elsie needed to get help as quickly as possible. 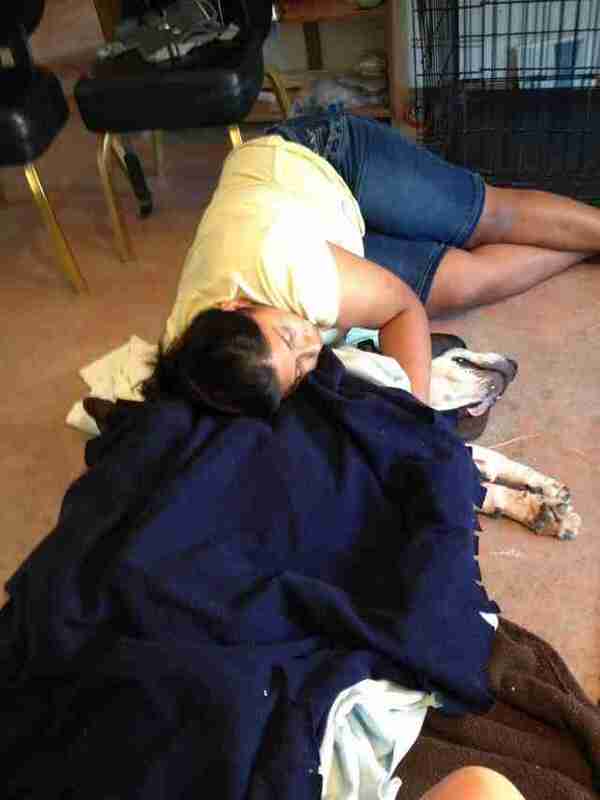 Being chained beneath a house with a flooded yard was bad enough — but Elsie had bigger problems. 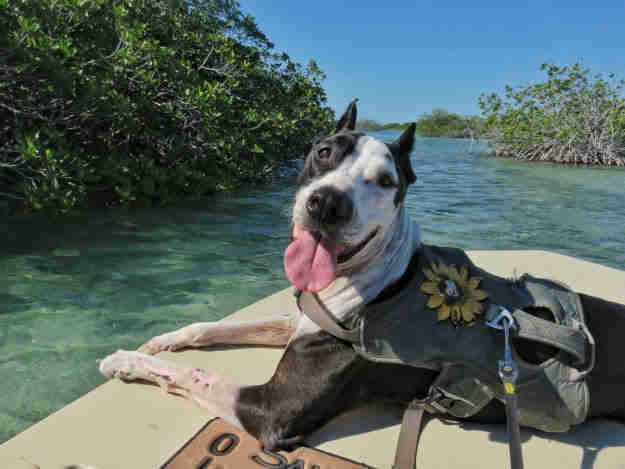 Elsie was also missing patches of fur, but the most serious issue was her weight — she was completely emaciated, weighing only 27 pounds. “She was literally a bag of bones,” Coutant said. 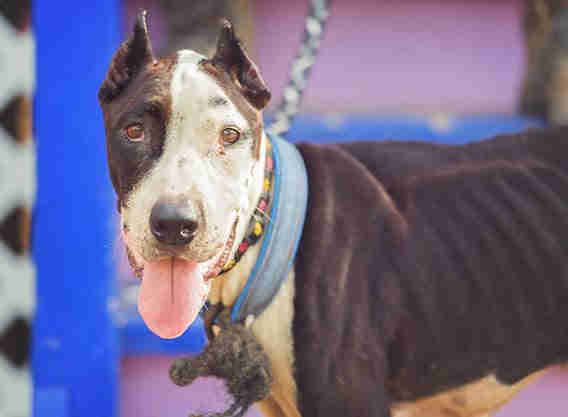 Team members from the humane society went to speak to the owner, who explained how he got Elsie — he said he’d rescued Elsie from someone else, who’d been deliberately starving the dog to death. “The people who had her had better intentions, but she was still in a horrible situation,” Coutant said. 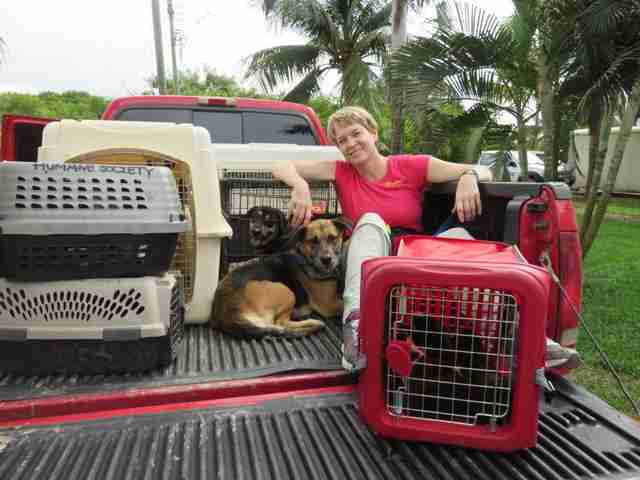 The rescuers got Elsie into a transport crate and drove her to their clinic, which was only 10 miles away. When they took Elsie out, they saw that she’d become very sick on the short drive there. Before she went in to be treated, the volunteers tried to clean her up. Coutant remembers this as the moment that everything changed for her — and for Elsie. “That's when she ‘got me,’” Coutant said. 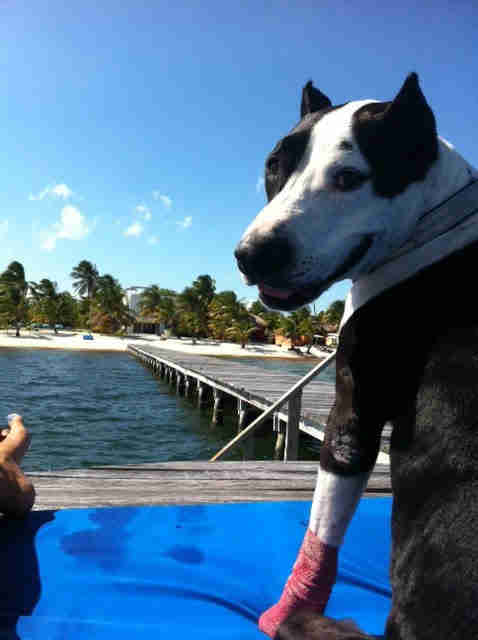 If Elsie managed to get better, Coutant decided that she’d come live with her and her boyfriend on Ambergris Caye, one of Belize’s islands. 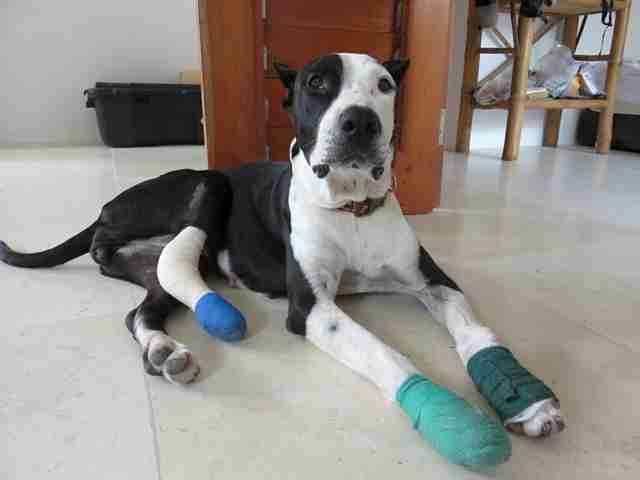 Elsie spent the next month at the clinic, getting her wounds tended to and her weight up. Elsie had also tested positive for both a tickborne illness and heartworm disease, so she was treated for these as well. 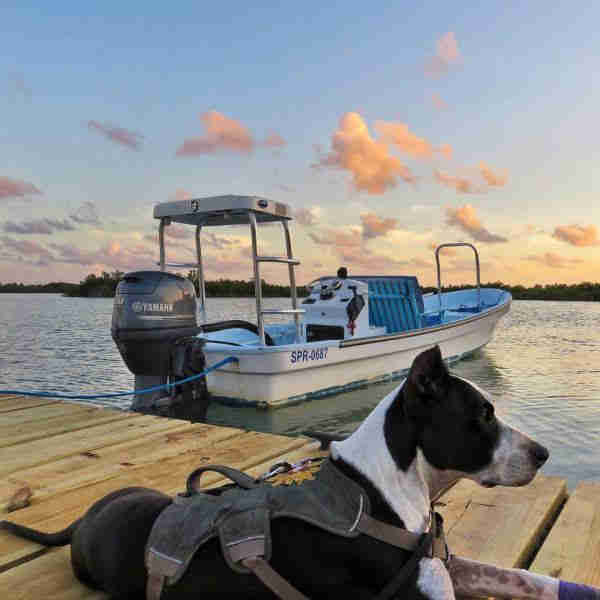 A month later, she was finally well enough to leave — and Coutant transported her via water taxi to her new home on Ambergris Caye. But this wasn’t the end of Elsie’s health struggles. 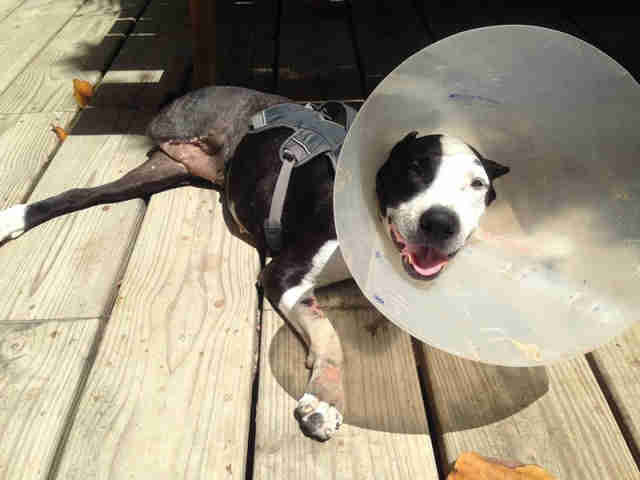 When the wounds on one of her legs wouldn’t heal, Coutant and her boyfriend made the difficult decision to get Elsie’s leg amputated. 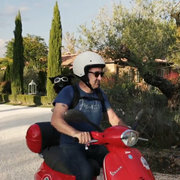 They worried about Elsie’s mobility after this, but she was up and walking five hours after the surgery, according to Coutant. But Coutant and her boyfriend figured out a solution. 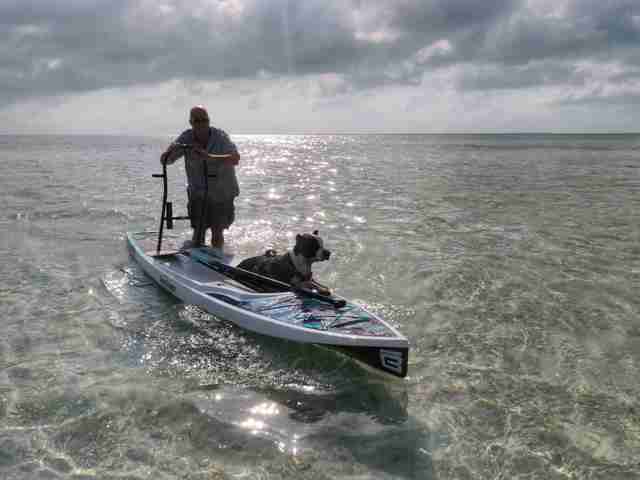 Now that Elsie is healthier, she gets to spend her days living the good life on Ambergris Caye. Most of all, Elsie loves spending time with the people who love her. In Belize, veterinary supplies are hard to come by, and pet owners can’t always afford to get their animals vaccinated, spayed or neutered. 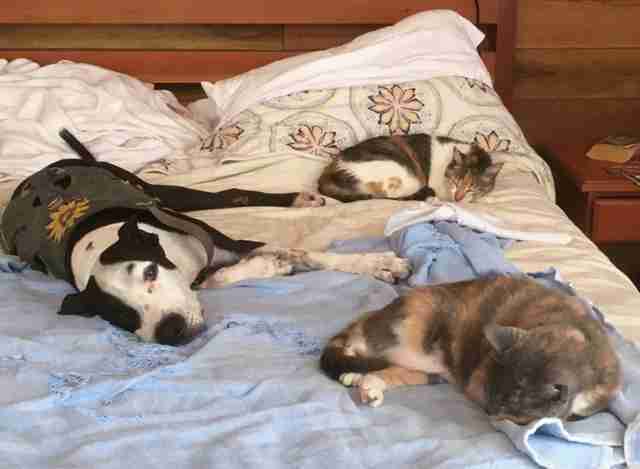 To help dogs and cats in Belize get the veterinary care they need, you can make a donation to Hopkins Belize Humane Society.